It's amazing to find out that development for galaxy mini (aka Pop) handset is going on rapidly. The developer of Minisense custom rom for galaxy mini s5570 smartphone, goutamniwas, has released another update to his custom android rom. Minisense v3.5 improves the user experience as this version comes with more refinements. Unlike with previous version, Minsense version 3.5 comes with HTC theme activated so that you don't need to go through the hassle of setting up the theme. Apart from that, there are few more tweaks and enhancements added to improve overall look and feel of the rom. Below is a short overview of change log from the developer's thread. Using Google DNS for internet for Faster internet access. Support for Indian regional language (Devanagari) fonts. Supersu app by chainfire instead of superuser app for root access management. A2sd and app2sdgui app pre-installed. (You simply need to configure a2sd to move apps to sd-ext). 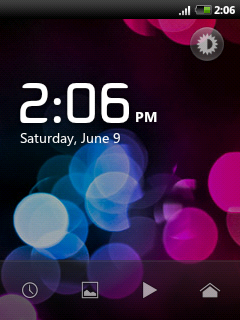 HTC theme is activated by default. Upgrade your firmware to Gingerbread using Odin Multidownloader v4.38. Install any custom recovery available for Samsung Galaxy Mini/Pop. You may either have Clock Work Mod Recovery or RZ Recovery - any is fine. Download Minisense version 3.5 rom (minisense_v3.zip) from above. Copy all the downloaded files to the (root directory of) your sd-card. Choose Install Zip From Sd Card >> Choose Zip From SD Card option and then select theminisense_v3.5.zip file which you downloaded in step 3. Note : If you are using RZ Recovery, choose Install Menu >> Select minisense_v3.5.zip >> Select Wipe Data and Wipe Cache >> Choose Install minisense_v3.5.zip and wait till the zip is installed. When you've flashed the rom, Wipe Data from recovery menu. That's all. You've successfully installed latest version of Minisense rom on your galaxy mini or pop gt-s5570 smartphone. Enjoy the HTC style interface on your Samsung handset and have fun! P.S. Don't forget to say thanks to the developer, goutamniwas, at his development thread in xda-froums if you like this rom.